We'd love to share more with you and hear your stories and ideas. So come and visit us on our social media for videos, recipes, Q & A's, news, competitions, quizzes and more. We pride ourselves on bringing you flavours from all over the world, some familiar and comforting, others a tad on the exotic side. 1 Place the contents of this sachet into a bowl. 2 Add 160ml of Boiling water, stir well and cover the bowl with a lid. 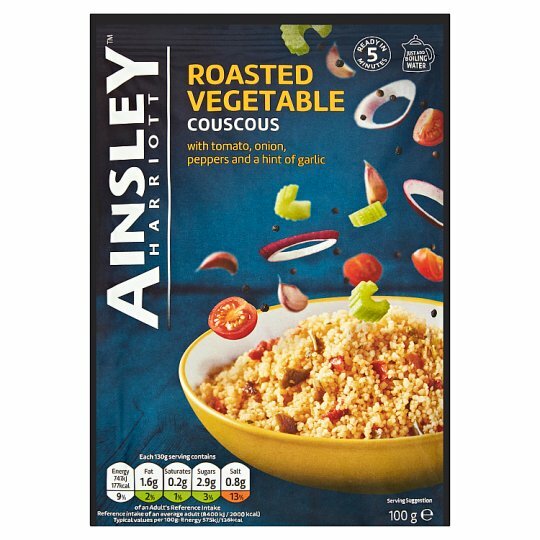 3 Leave to stand for 3-5 minutes to allow the couscous to absorb the water. 4 Fluff the couscous with a fork to separate the grains.